Captain Jim Ewart MM is SILA's Senior Marine Consultant and leads our maritime division. Jim, a Master Mariner, brings to the company a broad range of post-secondary course development, technical writing and teaching experience including over 30 years of active command service on ocean going vessels that routinely operate in Canada’s northern ice infested waters. 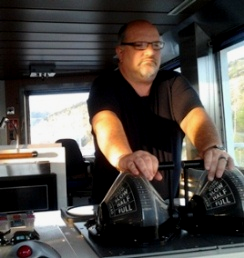 Jim has many years of marine related business experience in the private and public sectors. He has an extensive background in program evaluation, legislative review, developing job specific training curriculum, classroom course delivery and technical writing. He has worked directly with a range of companies from small start-up enterprises to large corporations and he has also published several Transport Canada accredited training manuals.